OK, the year is coming to an end and once all the partying is done, you’re left with a hangover and a few regrets of dancing too inappropriately. But hey, don’t you worry. We’re giving you much more to look forward to in 2019. The most awaited list of the entire year is here — the long weekend list! And while 2019 doesn't have too many long weekends, there are a quite a few to look forward to. We’ve counted seven official extended weekends, and one which will require you to butter your boss and HR manager a bit. But plan in advance and all will be well! Happy 2019! Forget staying in the crowded city for New Year’s Eve. Going by the drama of traffic and excessive drinking, fiasco, you’re better off being elsewhere! We’re thinking that it’s time for some peace and quiet in the jungles so our money is on enjoying in Kabini. From stargazing and romantic dinners on a river island, Kabini is the ideal place to rejuvenate. Check out our pick of things to do when there. Oh, and we’ve also got you covered when it comes to stay. 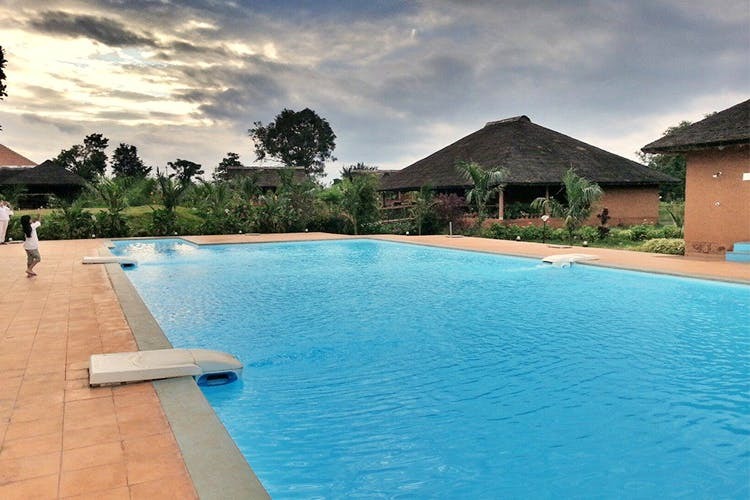 Luxury to camping, here’s where to stay in Kabini. Since it's a Monday and Tuesday, you can exit the city on Friday, and get a solid four days to relax and unwind! Get the first word in with HR and take Monday off the instant you get into work in 2019. Because then woohoo, you get a whole four days off! It’ll be peak summer time in Bangalore and that means you can’t really hit up Goa or Pondicherry. Which is amazing, because when in doubt, we say…run for the hills. Ooty, Coorg, Kodaikanal or Yercaud, we’ve got a whole list of hill stations you can escape to. Check it out here. We get that you’re likely to need to stay home for Shivratri celebrations, so head off somewhere close. So make it a quick two-day trip and pack in some adventure at the Galibore Nature Camp. Just 100kms from town, you can soak up nature on a hammock, eat fish fresh from the river, go rafting, drink a few beers, and then be ready to come back late on Sunday evening, or super early on Monday for the puja. Or, just stay another night! We also recommend chilling at this lovely home near the Bangalore airport. And take the gang with you for some endless game nights! Check it out here. You can always count on Easter weekend. There’s no way that you won’t get three days off, and we recommend you take one extra day — Thursday or Monday, and skip the country. Not too far, but we’re thinking perhaps Sri Lanka. If you want to live in luxury in the wilderness, check into the Gal Oya Lodge, for something quirky then head off to Helga’s Folly in Kandy or maybe you want to just stay in Colombo. In that case, the Bunkyard Sri Lanka, a cool hostel in the middle of the capital. If you haven’t been to Hampi, this is the perfect time to go. It can get unbearably hot in the summer, so hitting up the temple ruins in January is ideal. We think you should hop onto a bicycle for Day 1 of exploring the heritage site. Then, take it easy with these five things you must do when in there. And you've got to stay at this adorable place. It's a slice of Goa in Hampi. Or this heritage home. Go on, don’t say no! Good luck trying to convince your parents, or worse, grandparents, to let you get away from the festivities of this! Should you be lucky enough to though, Chikmagalur might be a nice option for you to head off to. Here’s our pick of homestays across budgets, or check into a hostel or a fancy resort. In addition to the coffee museum, here are a few offbeat things to do at the Coffee County. Maybe you can even leave on Friday evening, get in late to Chikmagalur, and then get back on Monday, and be around for the final day of Dussera. Win-win situation! This is the last of the long weekends guys! Yup, in November! But you get three full days so we’re thinking either Ooty or Coorg. If you pick Coorg, nothing like just trekking up hills, drinking fresh coffee, or learning how your morning cuppa is created with plantation tours. There’s no dearth of places to stay from the Taj to swanky resorts, or eat, which is why, any time you get off, Go Coorg! If you pick Ooty, from gorgeous lakes, quaint train rides and heritage hotels to romantic mansions, igloo tents under the starry sky and visiting nearby Coonoor, you won't regret your decision!